A nonlinear system is a set of nonlinear equations, which may be algebraic, ordinary differential, partial differential, fractional, integral or a combination of these. Especially, nowadays, the term “dynamical system” is used as a synonym of nonlinear systems where the nonlinear equations represent the evolution of a solution over time. So, the notion of dynamical systems arose following the name of equations governing the motion of a system of particles, even though the nonlinear system may have no application to mechanics. Also, from an engineering point of view a nonlinear system may be represented with a feedback loop in which the output of an element is not proportional to its input. Over the last few decades, nonlinear systems have been used to describe a great variety of phenomena, in social and life sciences as well as in physical sciences and engineering. The theory of nonlinear systems has applications to problems of population growth, economics, chemical reactions, celestial mechanics, physiology of nerves, onset of turbulence, regulation of heartbeats, electronic circuits, cryptography, secure communications and many others. Nonlinear dynamical systems, which present chaotic behavior, are of great importance due to their applications in science and engineering. Chaotic systems are nonlinear dynamical systems and maps that are highly sensitive to initial conditions. The sensitivity of initial conditions is usually called the butterﬂy effect for dynamical systems and maps. 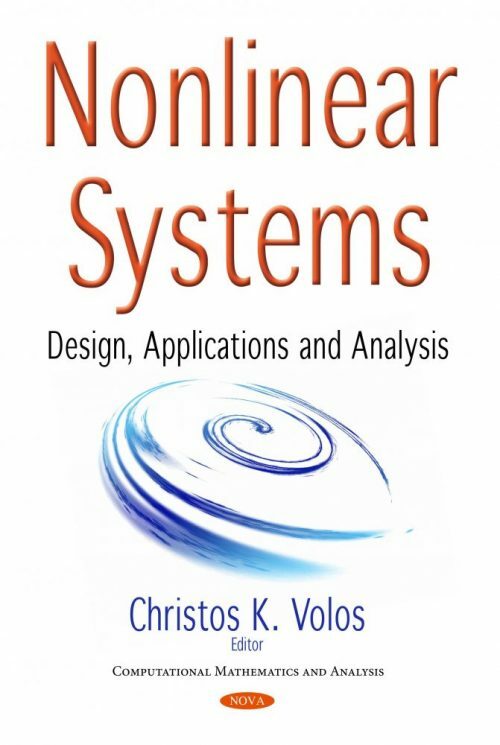 So, nowadays the design and analysis of nonlinear systems and especially chaotic systems has gained the interest of the research community due to the fact that many phenomena on financial, physical, biological, chemical, mechanical and engineering systems can be modeled and studied through the perspective of nonlinear dynamics. These nonlinear systems can be modeled by discrete-time or continuous-time mathematical models. This book can serve as an updated and handy reference for university professors, graduate students, laboratory researchers as well as physicists and applied mathematicians who are interested in studying nonlinear systems and their applications in various scientific.